KATHMANDU, July 30: The intake of tourists in Pokhara has increased by 23% in the first 5 months of 2018 compared to the same time last year. The Civil Aviation Office Pokhara informed that tourist arrival to Pokhara has increased this year by 23.2% through the air route, an increase of 10,664 tourists compared to arrivals last year. A total of 35,161 tourists had left Pokhara last year through the air route between January and May while this year the number is 45,825 for the same time of year, informed the Information Official at the Civil Aviation Office, Kashinath Paudel. 25,167 tourists had arrived to Pokhara through the air route from January-May last year, while the arrivals from the air route in the same time this year was 32,754. 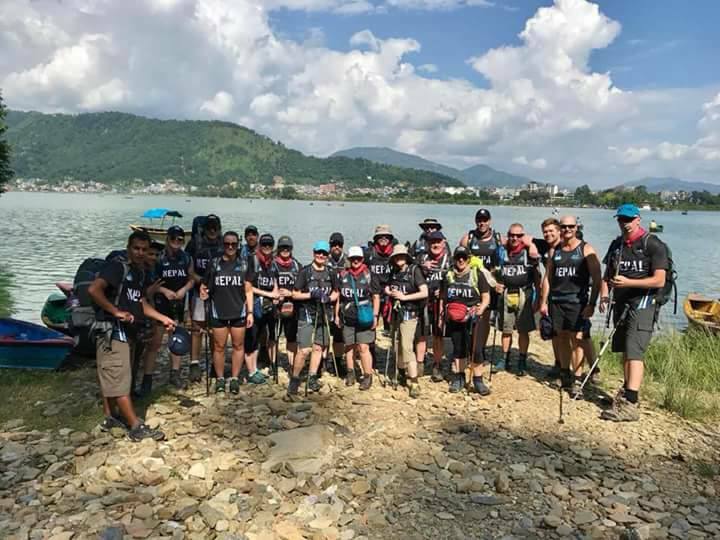 In the current year, 4612 foreign tourists entered Pokhara through the air route in January, 15,446 in February, 19,250 in March, 20,148, and 11,860 entered in May. Buddha Air conducts 6 daily flights from Pokhara, while Yeti air conducts 8, and Simrik Air conducts 3 daily flights. Buddha Air has also been conducting direct flights between Pokhara to Bhairahawa and Chitwan since last year. President of the Pokhara Tourism Council, Kedarnath Sharma, said that the number of tourists visiting Pokhara has been climbing due to the peace and stability in the country. He added that as the roads between Pokhara and Kathmandu are not convenient, the addition of flights in and out of Pokhara might have contributed to the increase in tourists. Sharma said that with the construction of the Pokhara International Airport taking place at a speedy rate, the private sector has been investing heavily in the tourism infrastructure in Pokhara.